Un papier fabuleux provenant du japon. Fabuleux car fin, facile à plier et texturé ! Le must du pliage.. I generally use Tant when I attempt to fold a model for the first time. Du très joli papier quand on ne veut pas se contenter de kami. These are the best things I bought on this site: better than kami in most cases, not too expensive. dimensions 20x20 ou 25x25 seraient utilisables mais il reste la possibilité de découper les 35x35.... (Lire la suite) histoire de confort ! Always goog to have Tant paper - solid, fin and great colors! 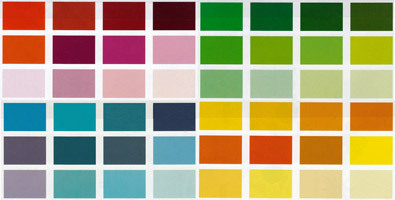 I love the quality of Tant papers, and the range of shades in each colour is fantastic! It's thin en... (Lire la suite)ough for making intricate pieces, but thick enough for models that require more strength and stability. Highly recommended! Beautiful paper, great colours and texture. This is the cheapest way to buy it on the net too. Only ... (Lire la suite)criticism is that there are some beautiful shades of purple only available in the 100 colour pack. Belles couleurs, agréable au toucher. Pour l'instant, je le trouve trop beau pour le plier... j'att... (Lire la suite)ends de m'y habituer encore un peu de temps avant de me lancer. i really love TANT paper. the colours variety is just amazing! Great paper for modulars - holds the shape well, and the surface creates friction to better keep the... (Lire la suite) modules together. It would be nice with more sheets in exactly the same colour, rather than different hues of one colour. Great for simpler or medium difficulty models. Perfect size, since anything too complex isn't suited... (Lire la suite) to this paper, and for a very reasonable price as well. Should have ordered these before! This is what I should have folded some simpler models with, inste... (Lire la suite)ad of 15cm kami -- it makes it look so much more pretty. I'm going to refold some models with this paper. 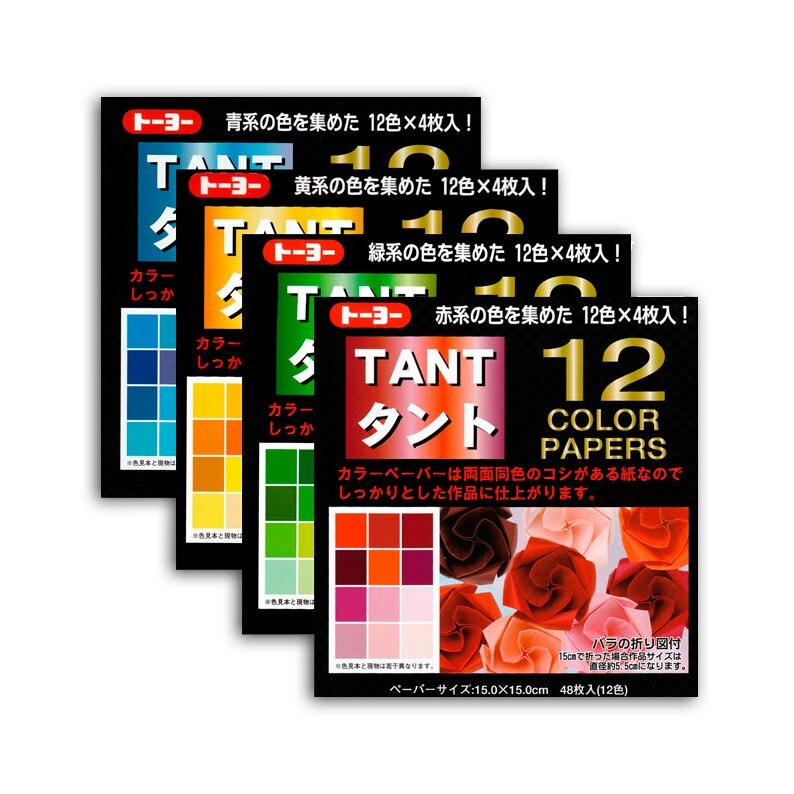 I love love love Tant - perfect paper for almost every project! I can't imagine anything could top t... (Lire la suite)his paper! Delivery to Australia was amazingly fast and extremely cost effective - I have been 100% happy with this experience - will return very soon!! Very good and beautiful paper for boxes and modulars. I thought the paper I ordered was of a high quality and a good amount in one bulk. Estoy muy contento con el pedido. El papel es de muy buena calidad como se especificaba en la web. Y... (Lire la suite) pienso hacer más pedidos en el futuro. Although the wait was long, it was worth it! I love the sample papers included as well. I got four packs of 15x15cm Tant the colour varieties are fantastic, take the green for example goes... (Lire la suite) from very light green to very dark green with lots of shades inbetween. I like folding this paper it makes my favourite subject really enjoyable. Very pleasant paper with wonderful colours. The price is OK. Perfect for modular models. I'm delighted with the Tant paper I received. It's the first time I've bought specialized Origami pa... (Lire la suite)per and it folds like a dream. So crisp. And my order arrived faster than I expected. I would definitely come back for more.